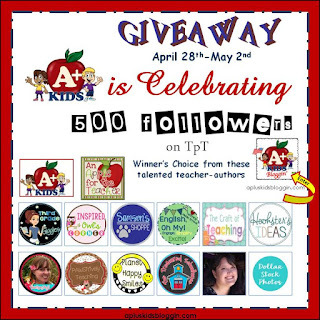 My friend Kathleen from A+ Kids Bloggin' is having a giveaway with products from many TpT sellers. The giveaway ends on May 2nd, so be sure to enter soon. You can click on the picture above or the link below to enter. Good luck!